After finishing up the shelves on the garage storage system I wanted to add a few things to make it a little cooler. We have a garage freezer that I thought would look as a built in unit and give some extra shelf space. After I assembled the the shelves, I made some DIY sliding barn doors out of electrical conduit. all the pieces will be linked below, but make sure and watch the video to understand it fully. Lastly, I added a pegboard tool wall for a quick and simple storage for the tools you use most. 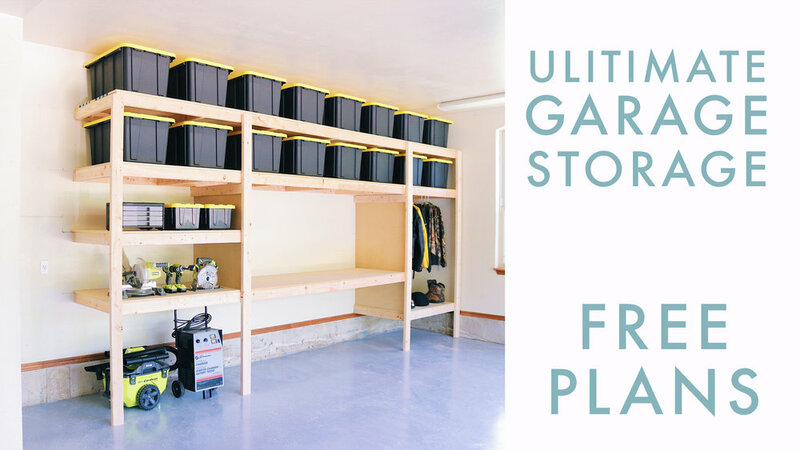 Be sure and check out part one of the garage series to get detailed drawings and measurements of the shelves.